Seasons Greetings and Happy Holidays Everyone. 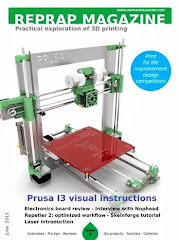 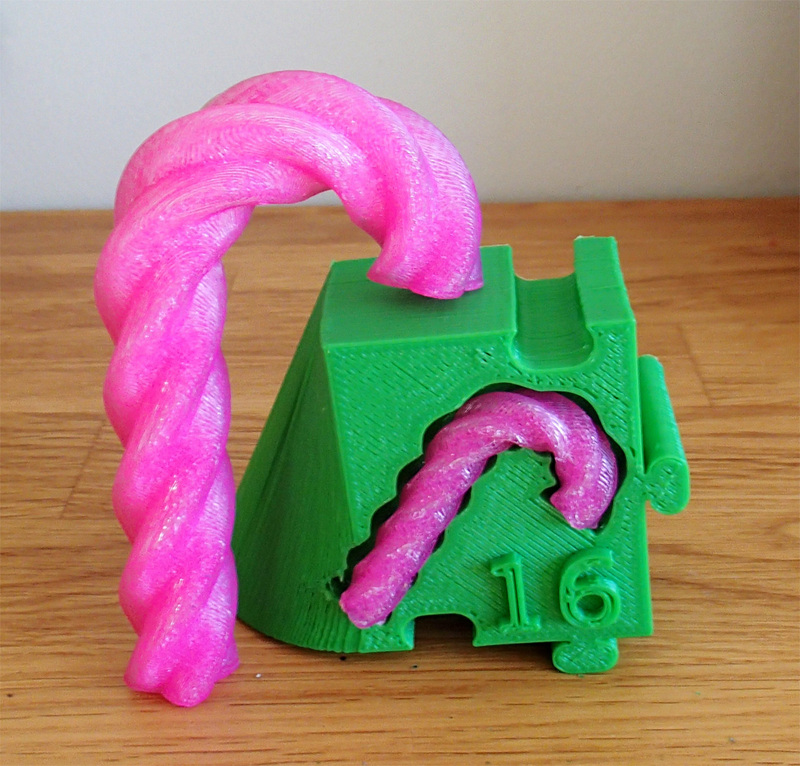 I hope you are all having a good end to the year, for me the last few RepRap months have been extremely interesting. Lots of machine testing and calibration, continuing and starting some new developments and printing a lot of presents for people. 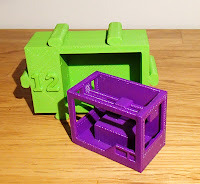 More about machines and developments in the new year along with some overdue tutorials I plan to get completed over Christmas. 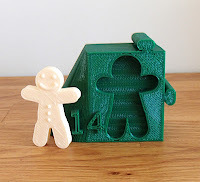 - Have a great time and happy Christmas printing - Rich. 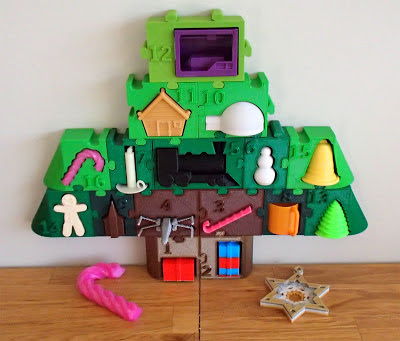 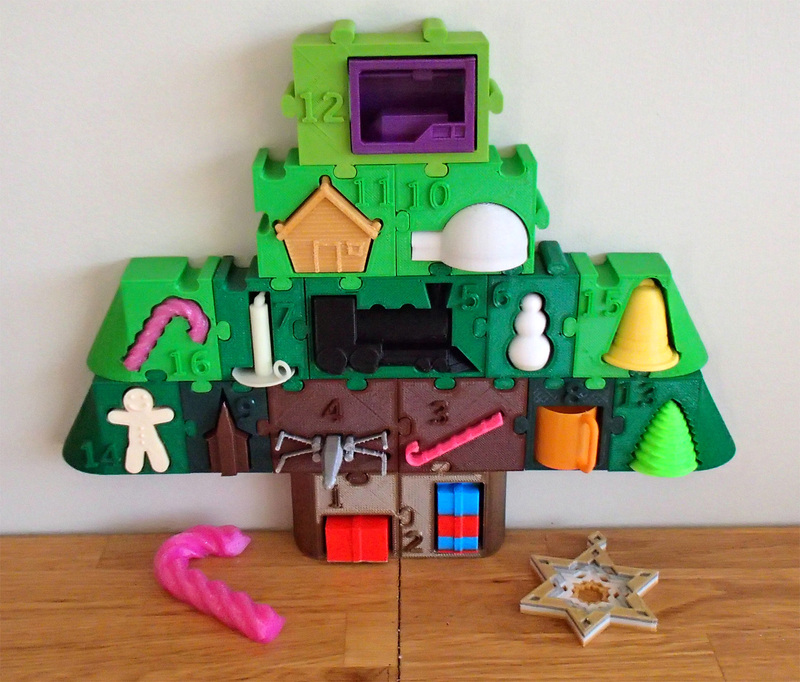 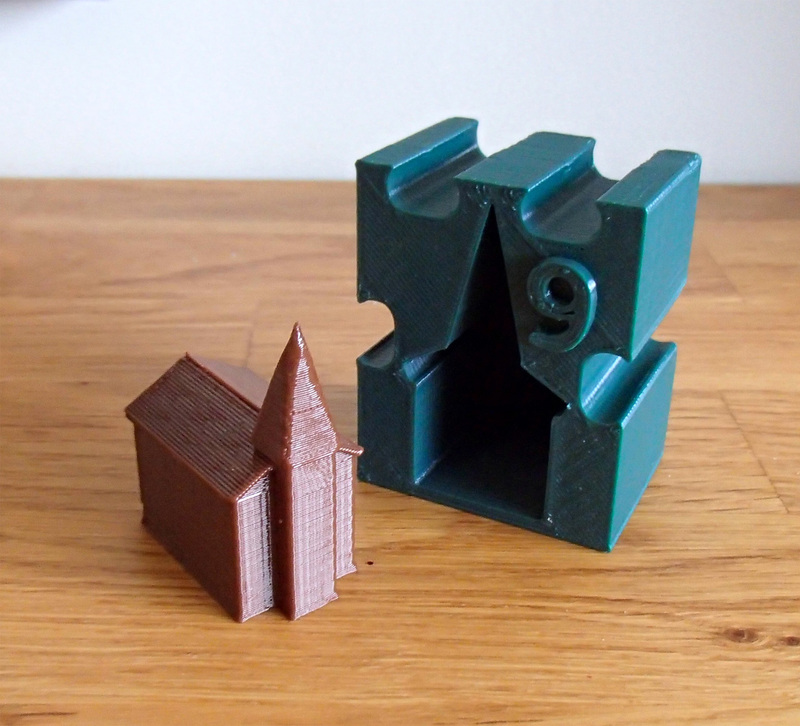 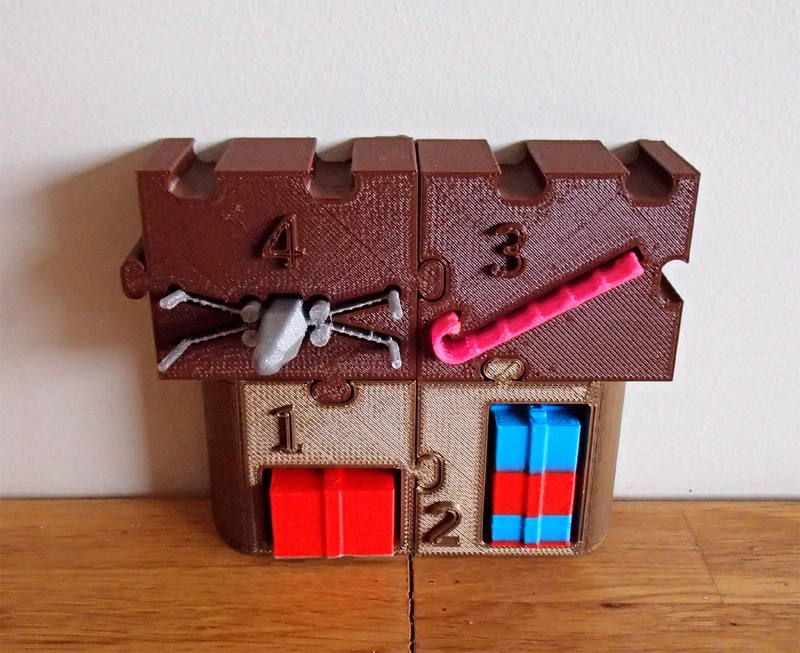 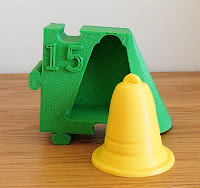 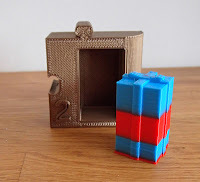 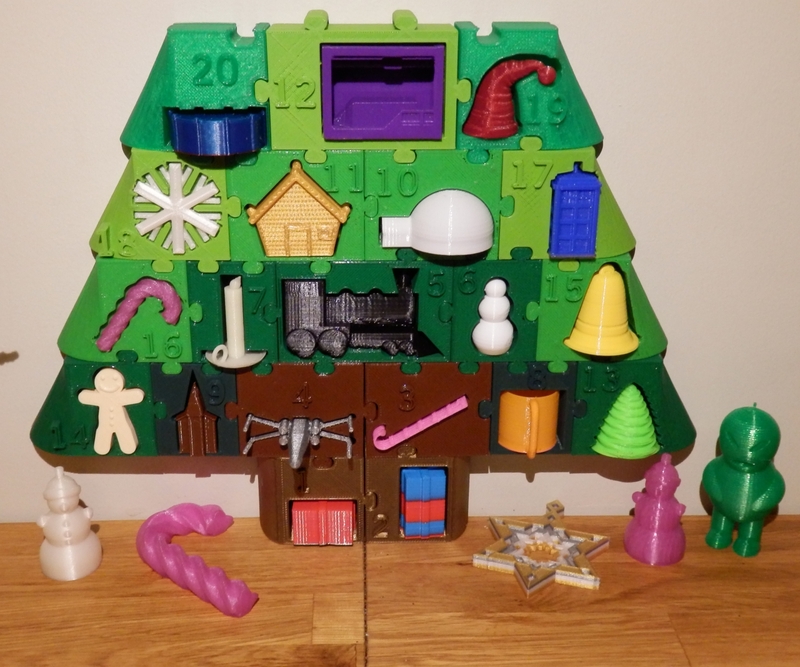 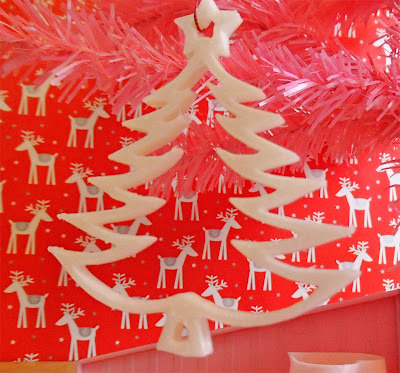 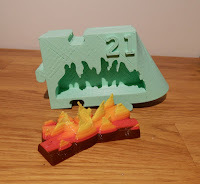 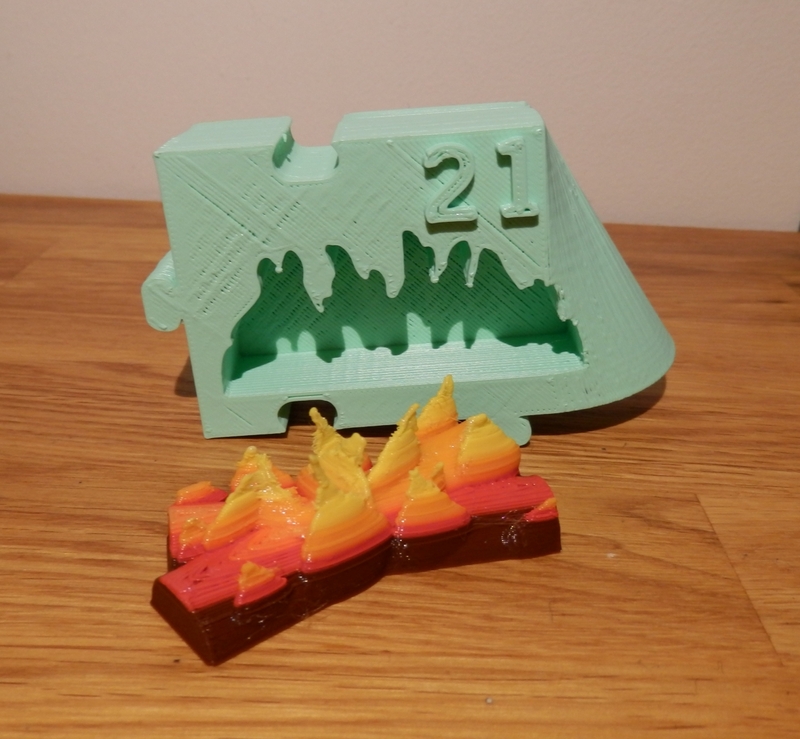 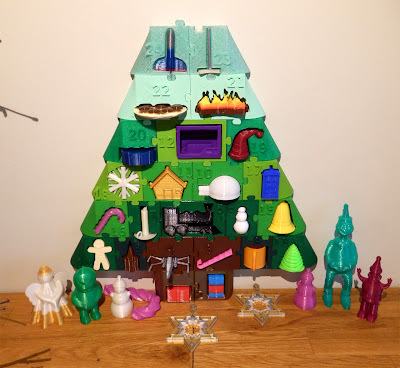 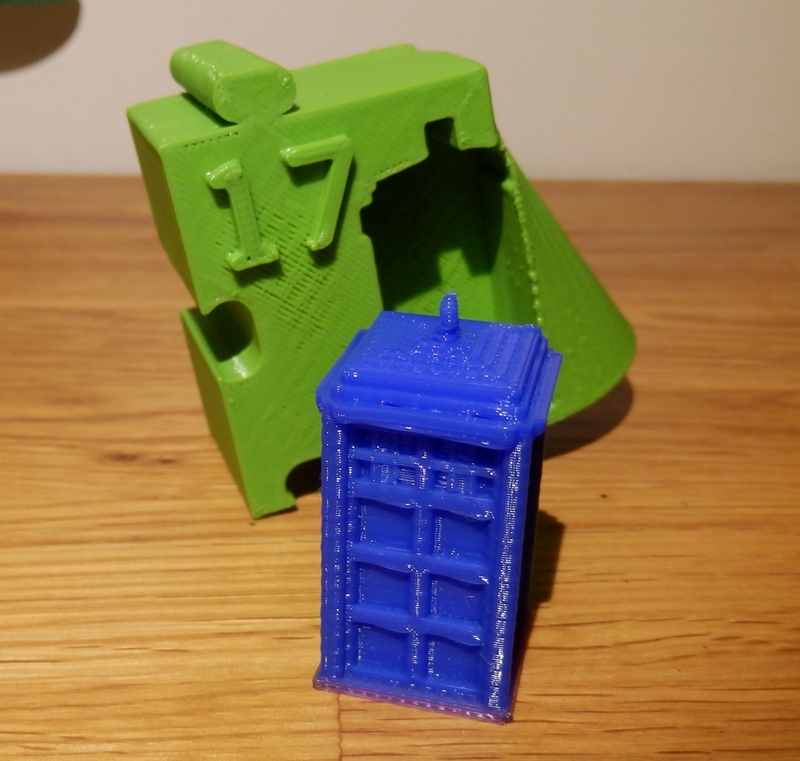 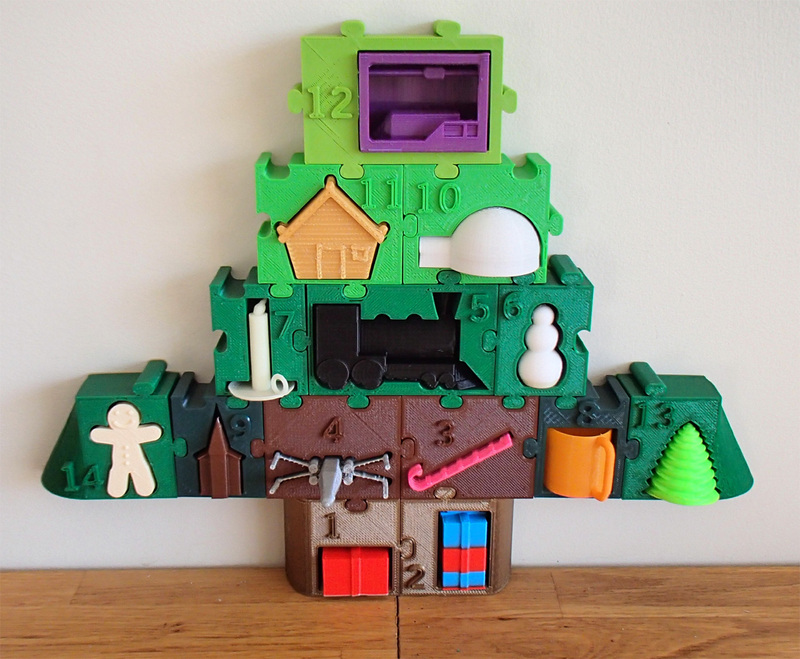 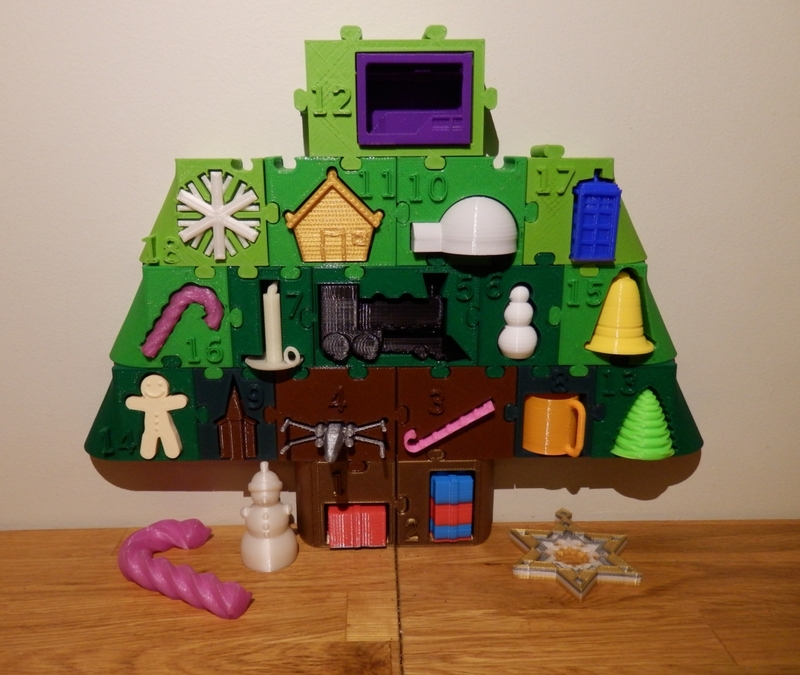 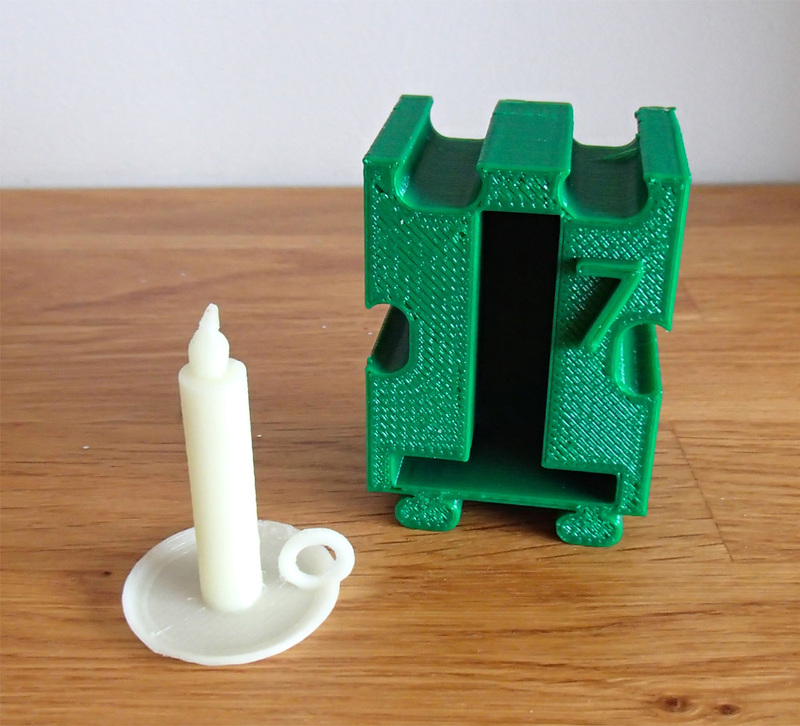 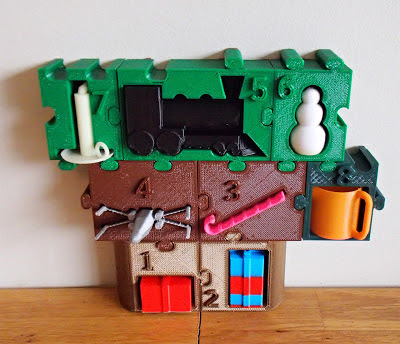 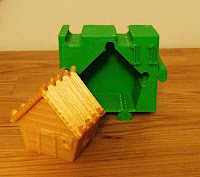 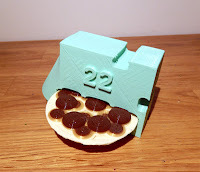 This is an advent Blog post for Christmas, my kids have been selecting Christmas things from Thingiverse to print out and put on their trees. 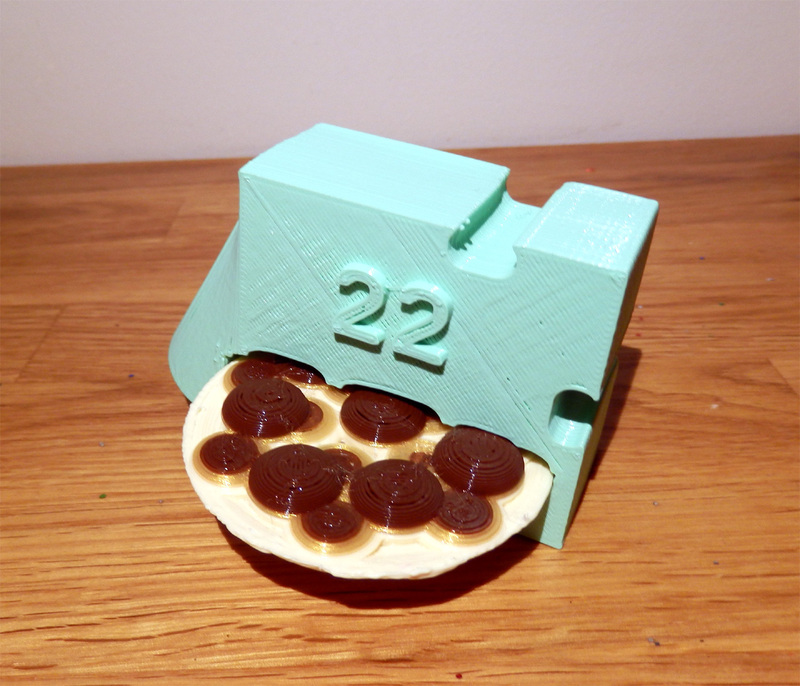 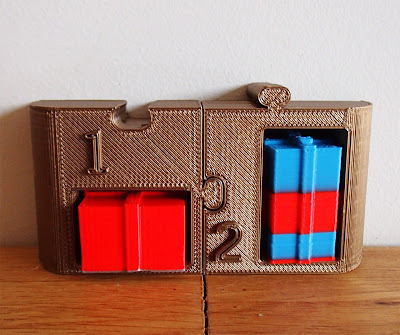 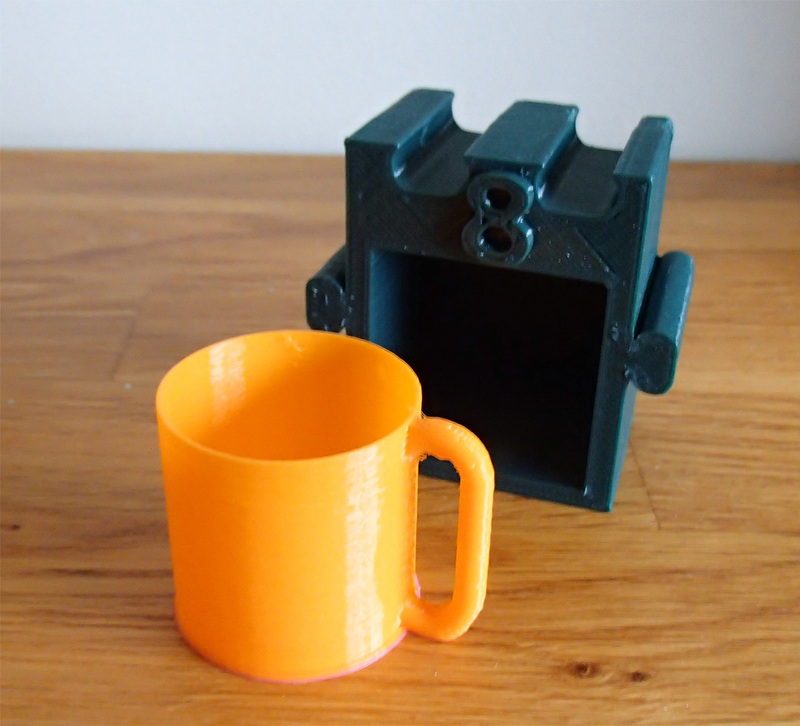 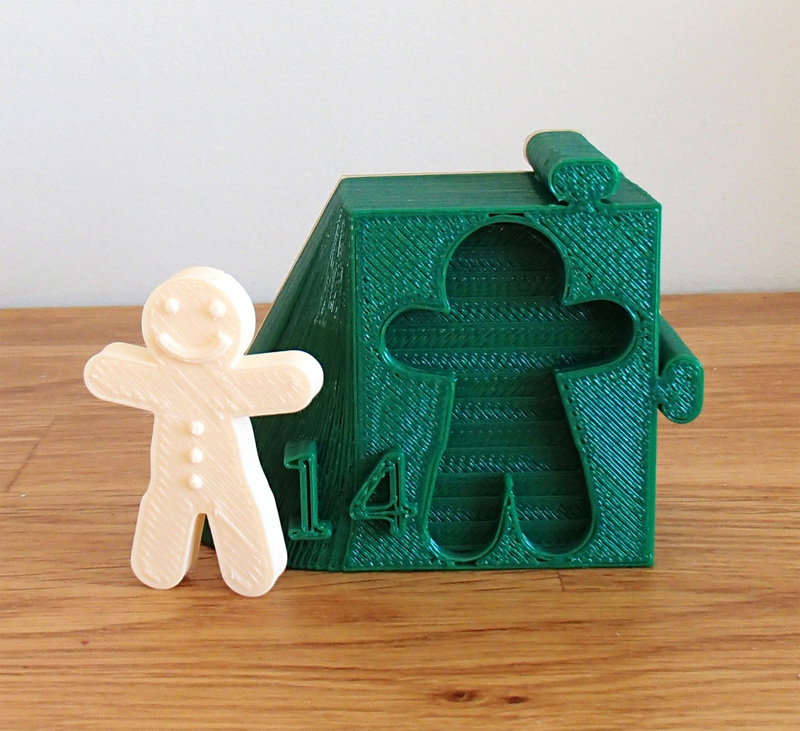 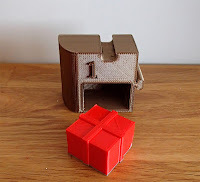 I have been following and printing out the great advent calendar tree by Pleppik, other things have just naturally been printed out as presents and gifts. 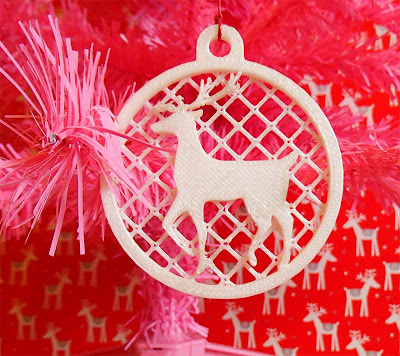 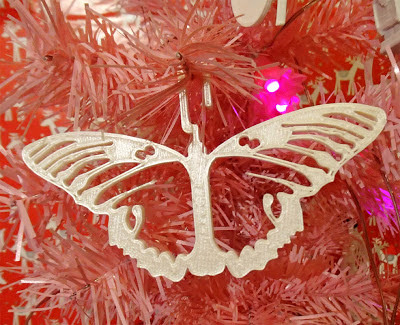 Printed in Christmas Gold for the base of the tree. 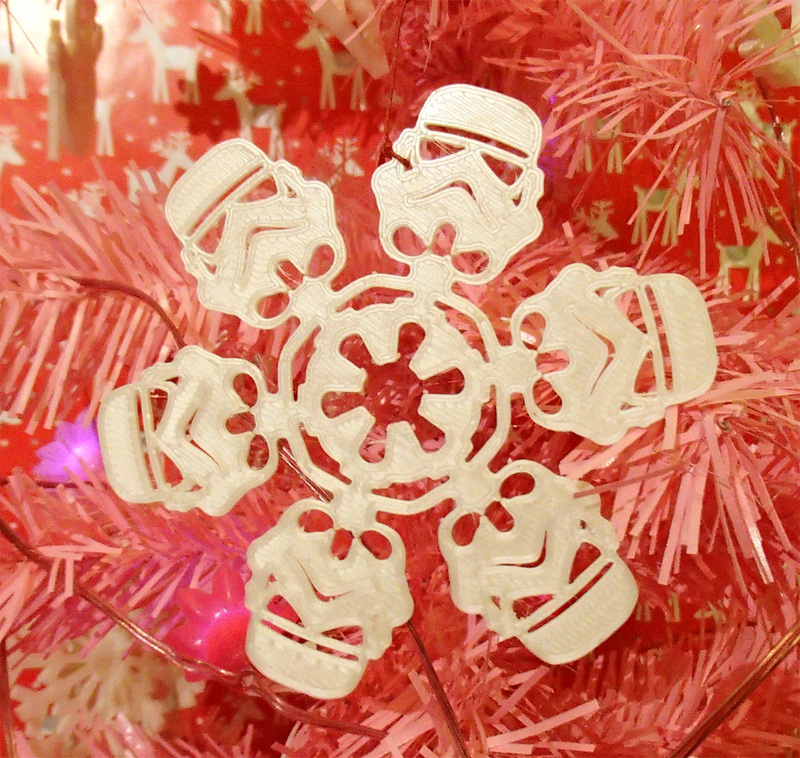 Candy Cane Sledge and an X-wing! 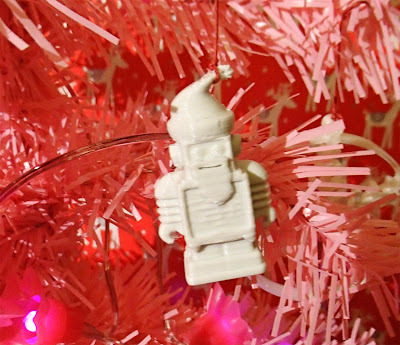 Trunk of the tree in woodland brown, Sledge is in punk star pink and X-wing in white and robot silver. 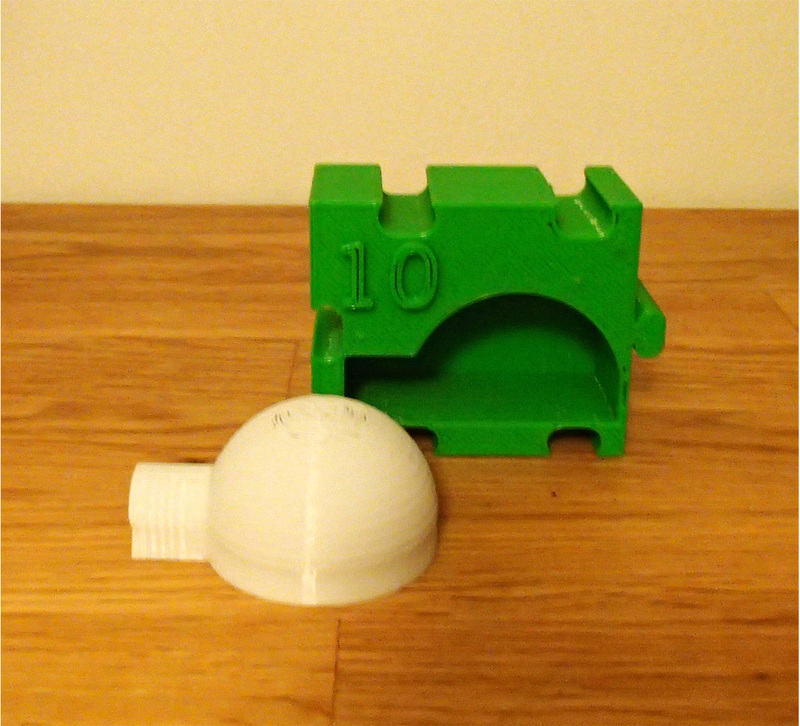 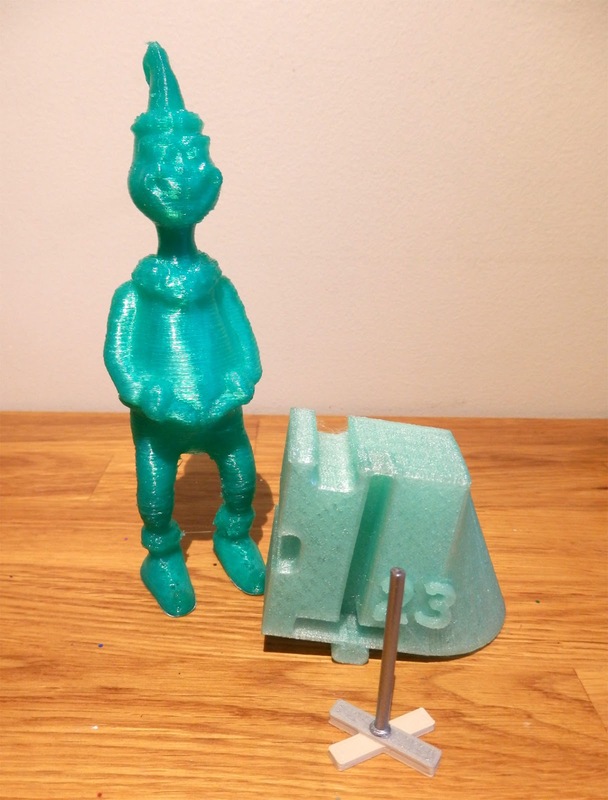 The Sledge is very fine, if you have a 0.5mm nozzle, you may wish to set the nozzle size to 0.35 if using Slic3r or it's not going to print out all that well. 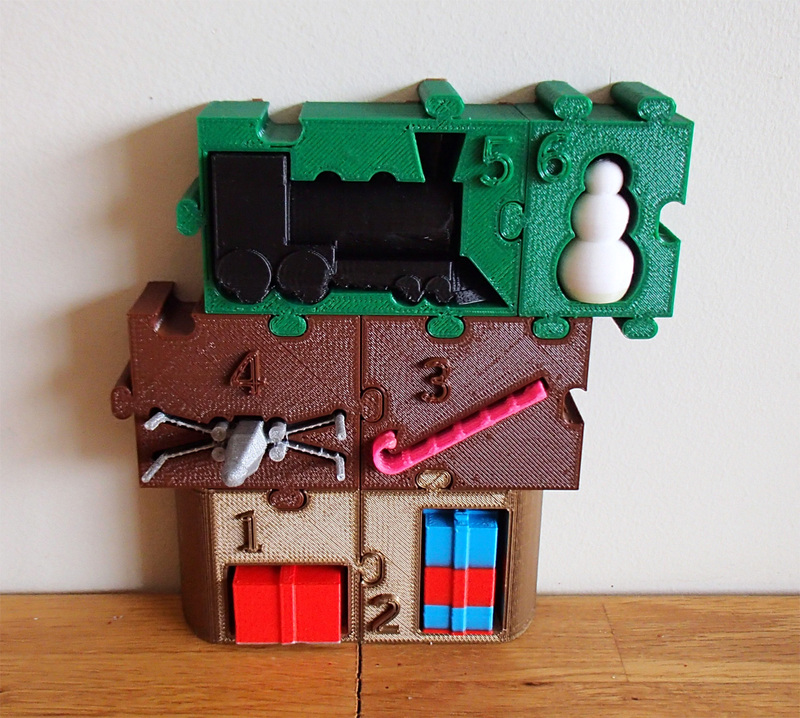 Train and a bright white Snowman. 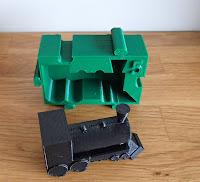 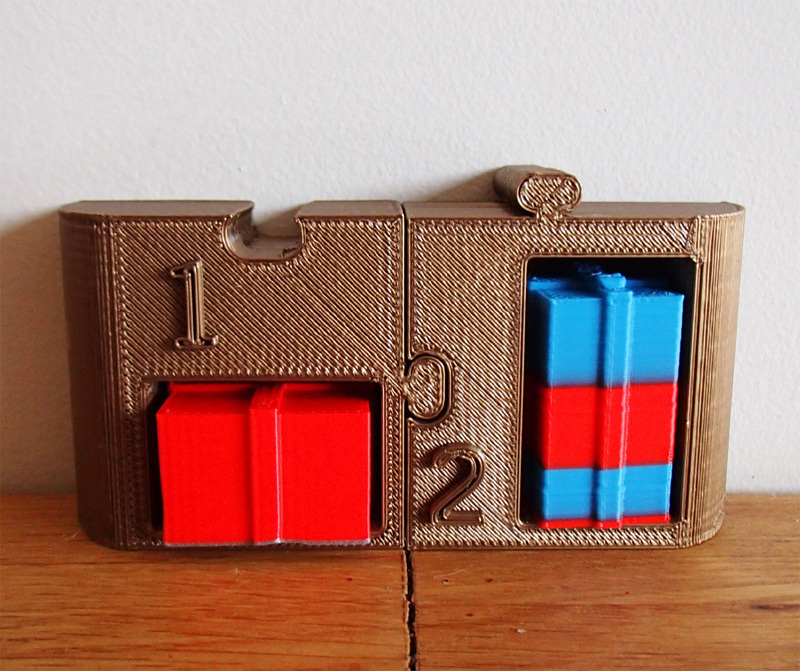 The train really needs some support to print correctly, I missed that and had a small shift in printing as the bottom got a little messed up, but it still fits in the box. 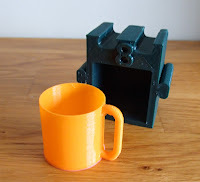 Glow in the dark candle and an orange coffee mug. 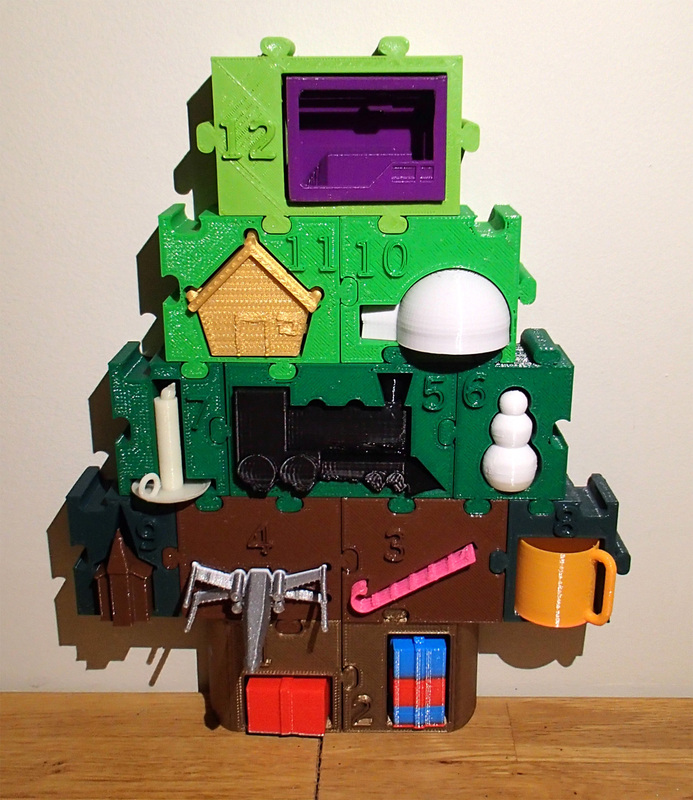 Green happens to be my favourite colour, so I tend to have quite a few different shades. 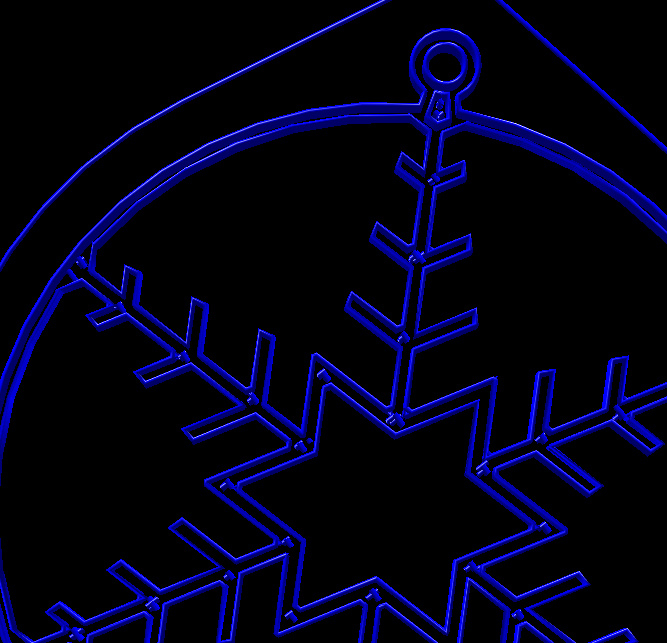 I'm going for darker at the bottom, getting lighter as the tree gets taller. Brown church and a slightly off-white igloo (Architects stone white). 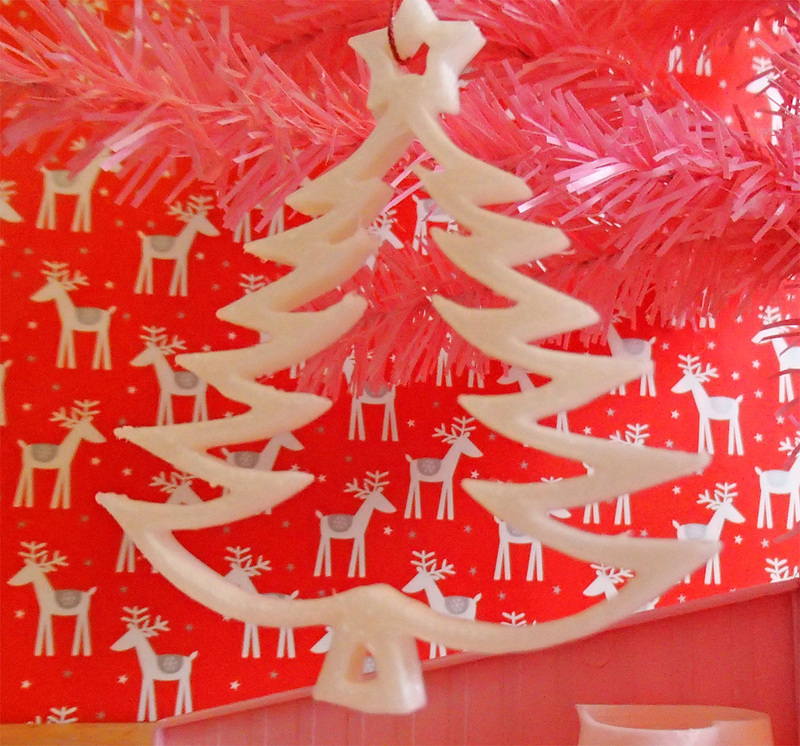 We are starting to get some form and real colour to the advent tree. The Gingerbread house needs support, or if you don't want to use support material then use my modified Gingerbread House here. The Makerbot Replicator 2 model also needs support, but I have modified it slightly to allow it to print without any support, Get the non-support version here. 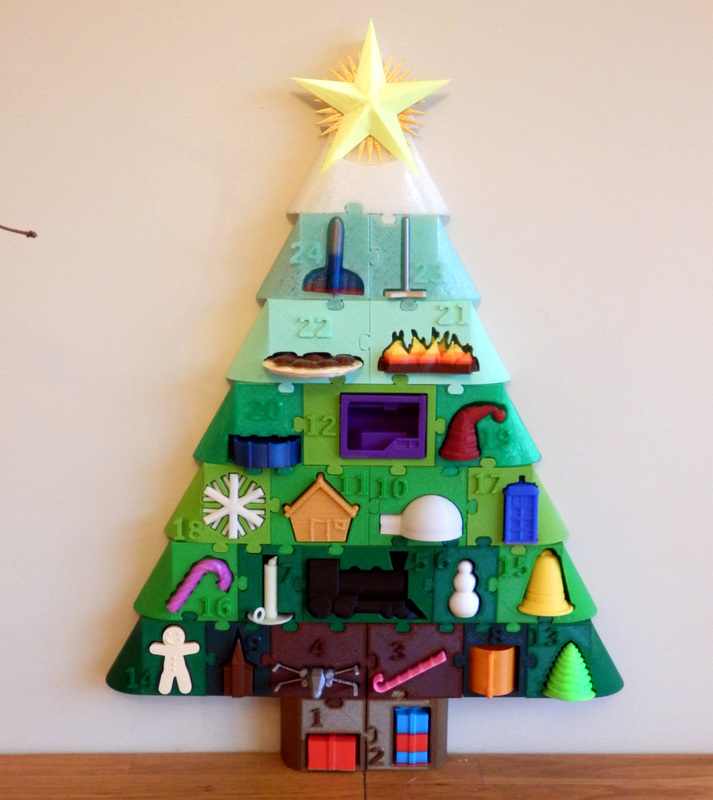 Nuclear Christmas tree and a Gingerbread Man! The Awesome candy cane is printed in Awesome Aurora PLA from Faberdashery.co.uk - it's UV light reactive and changes colour from a wonderful light sugar pink to a stunning vivid blue. That's it for white now, if I need any more I'm going to have to get creative. 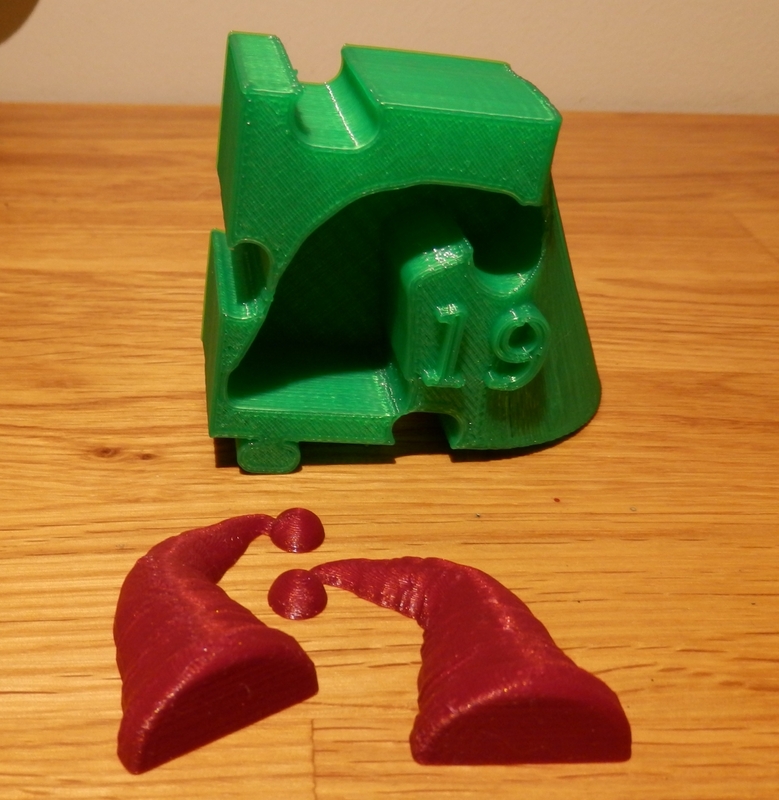 Day 19 was a Santa Hat, this is a little tricky to print in one part, and would require support material, I didn't fancy doing that, so I sliced it in half and glues it back together with a drop of superglue. 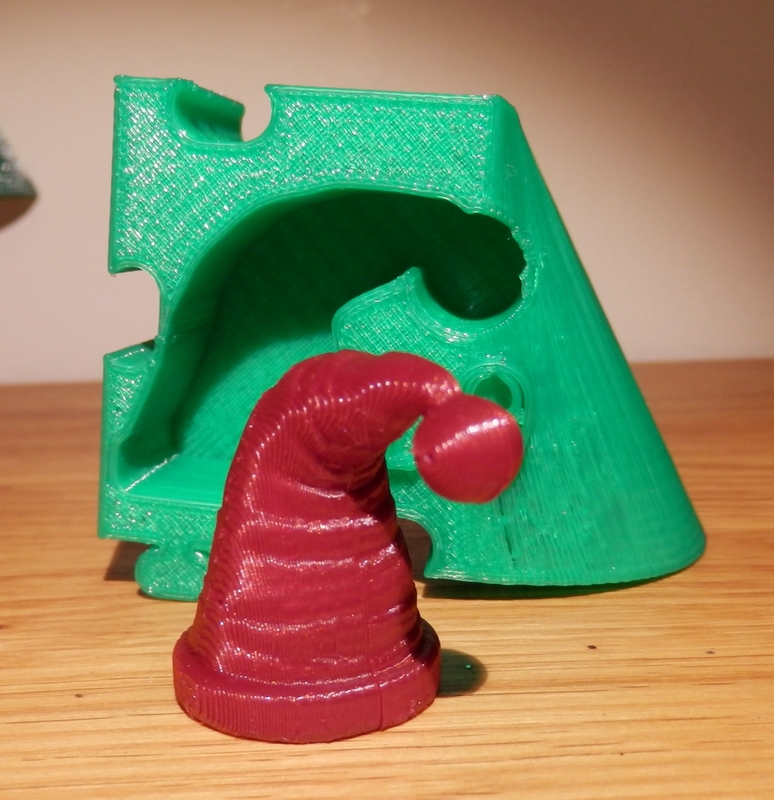 The Day 19 Santa Hat is printed in the stunning new Mercury Red (Metallic PLA) - it basically makes anything you print look like a Super Hero, really fantastic material. Day 20 is also a new Metallic PLA - this time Space Marine, totally intergalactic. The minty green was never going to really fit, but I wanted to use them all. 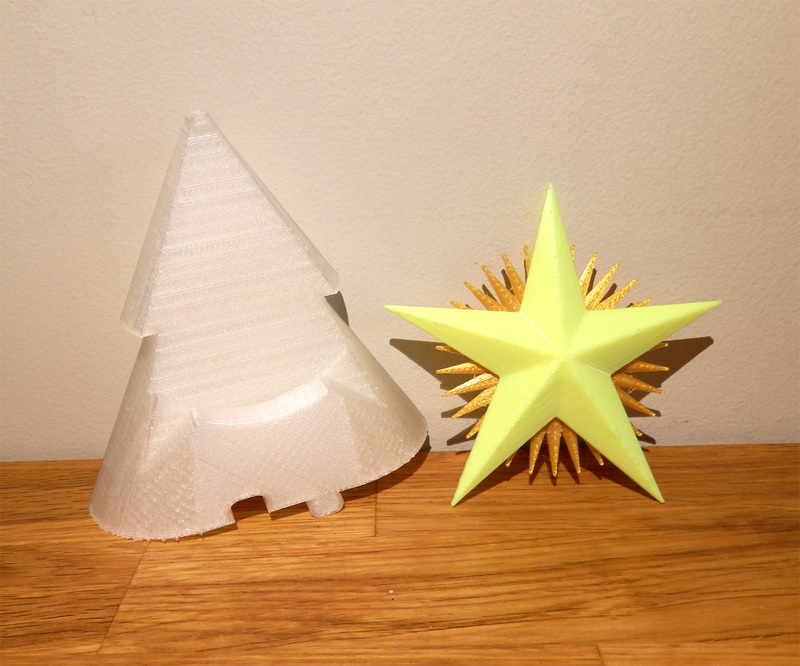 A snowy top of the tree, Bling Bling Gold star-burst and a Neon Cyber Yellow Star. Have a great Christmas, Happy Holidays, Seasons Greetings ! 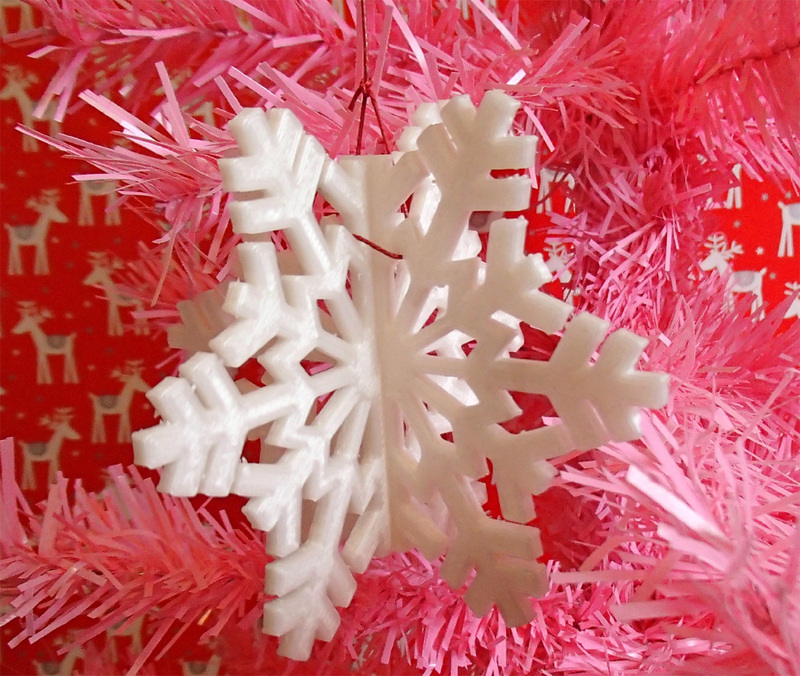 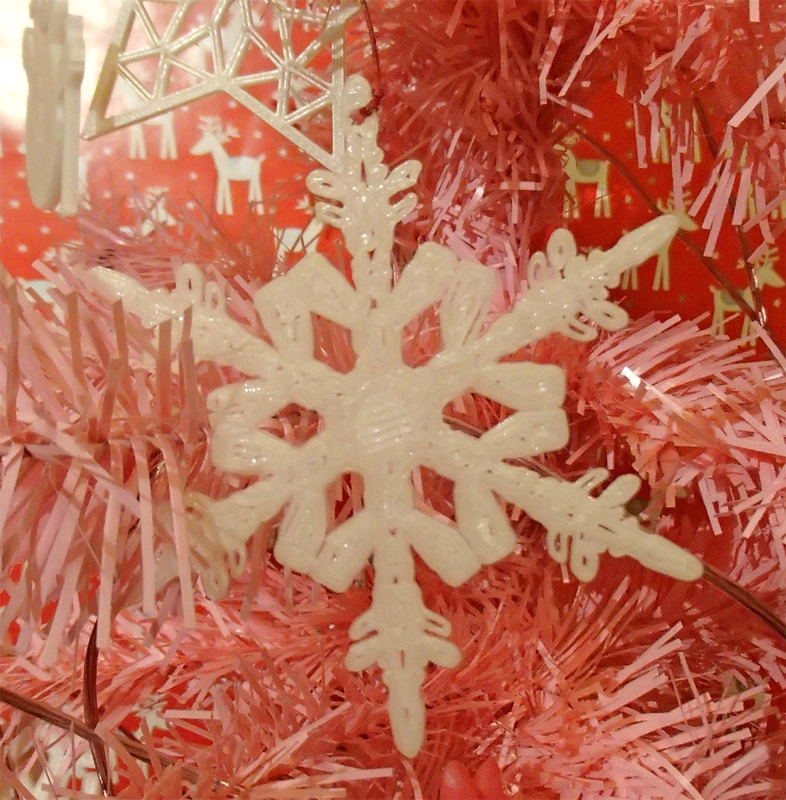 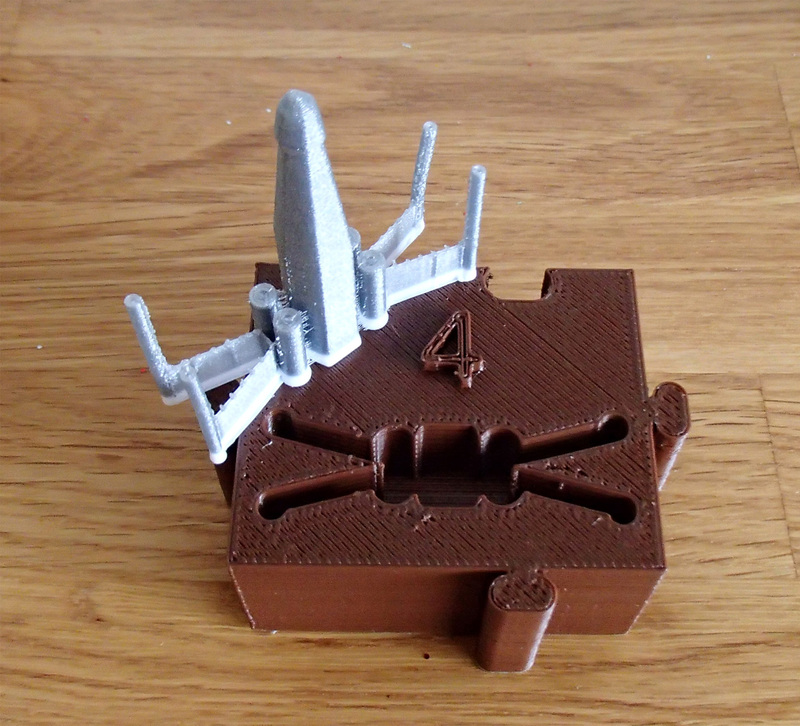 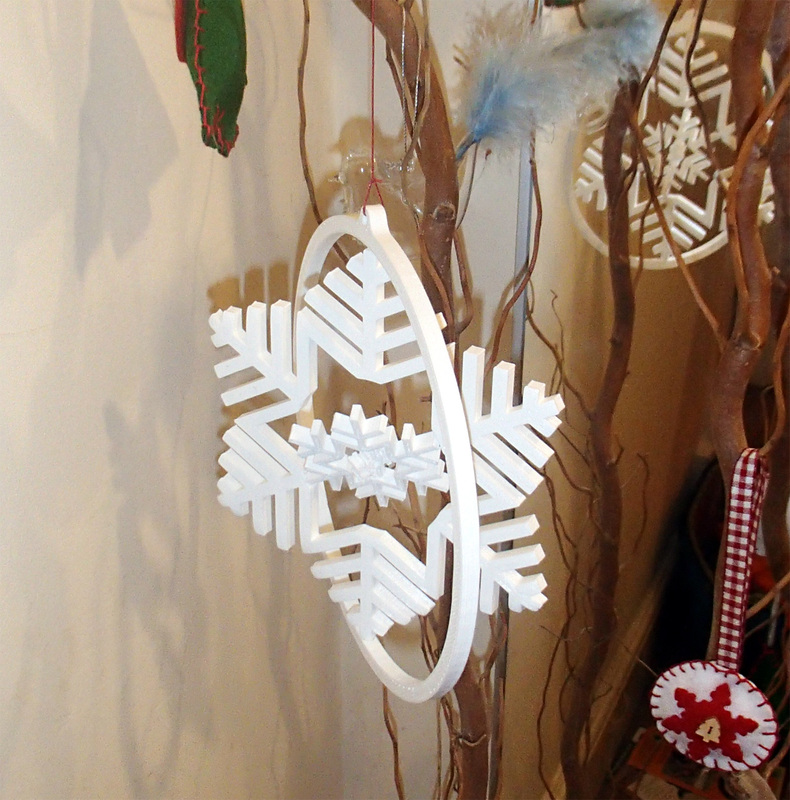 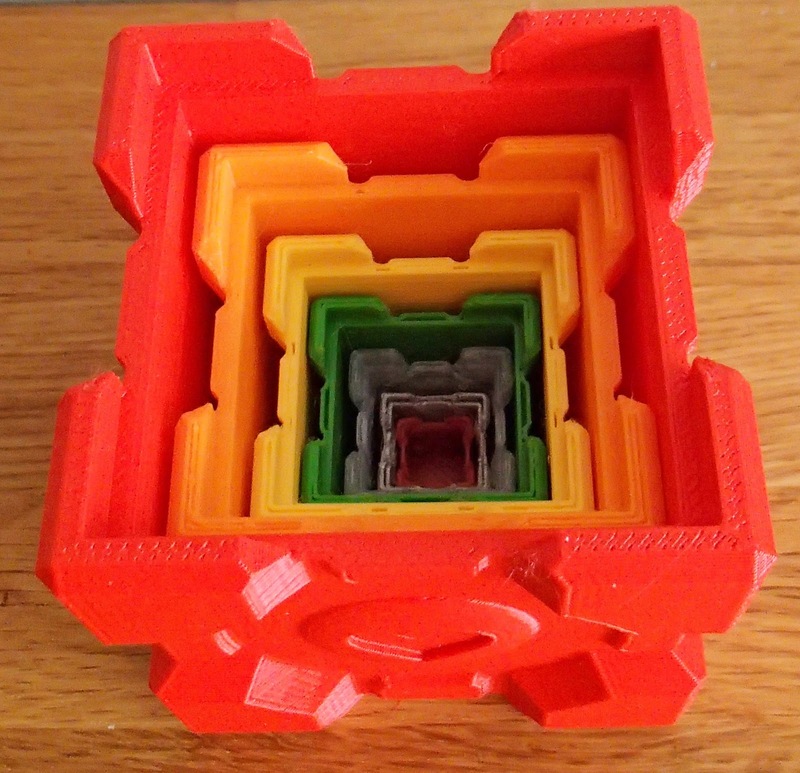 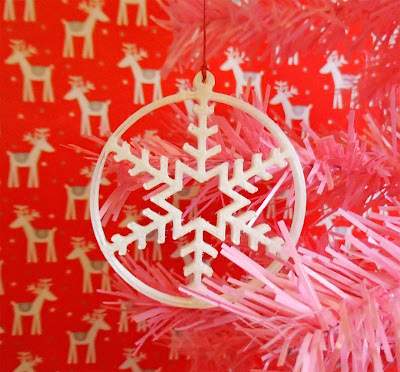 I'm loving this Gyroscopic snowflake by Roman_Hegglin, take a look on Thingiverse here. 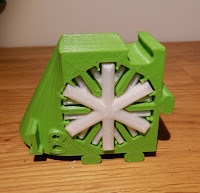 It's BIG, and a great object, it's all printed in one go, when you pick it and move the rings a little the parts just start spinning perfectly! 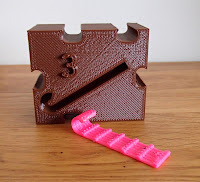 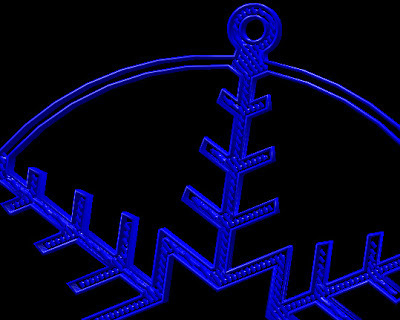 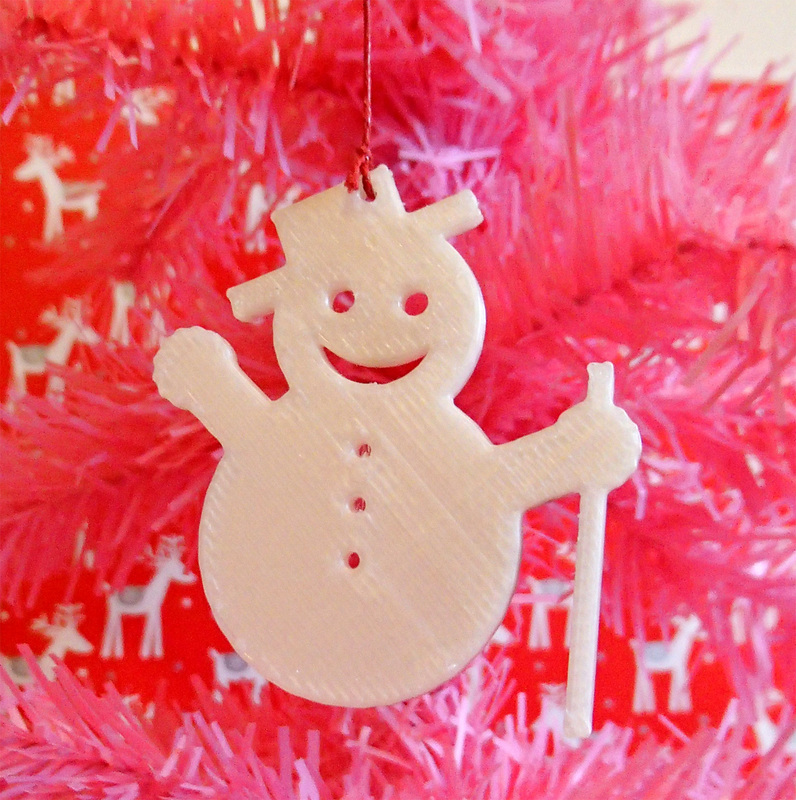 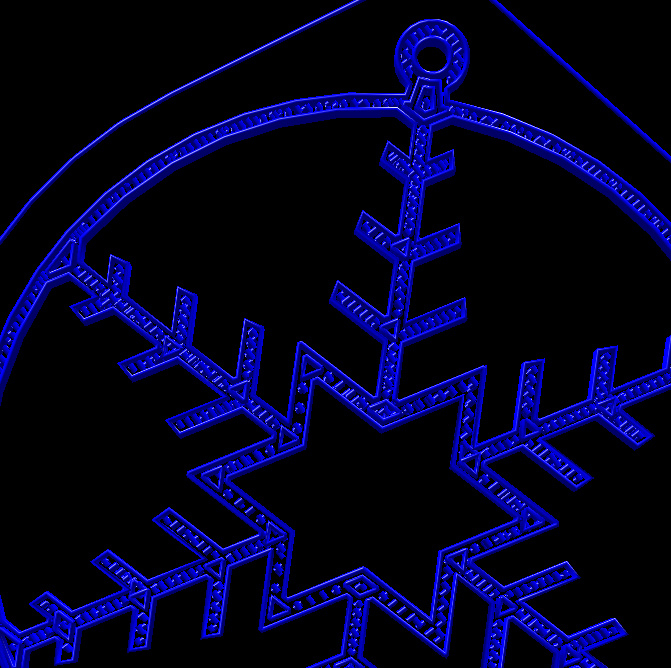 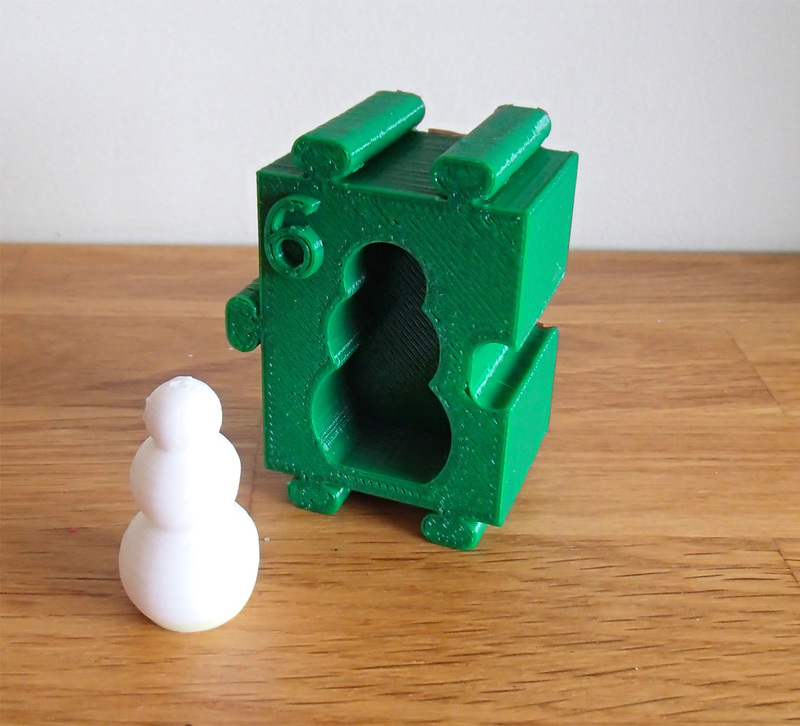 Roman also has some smaller snowflakes on the Thingiverse link above, check them out. My kids are selecting a thing a day to print, advent style to decorate their trees and rooms, here is the progress so far with links to the great Christmas models and designers on Thingiverse. 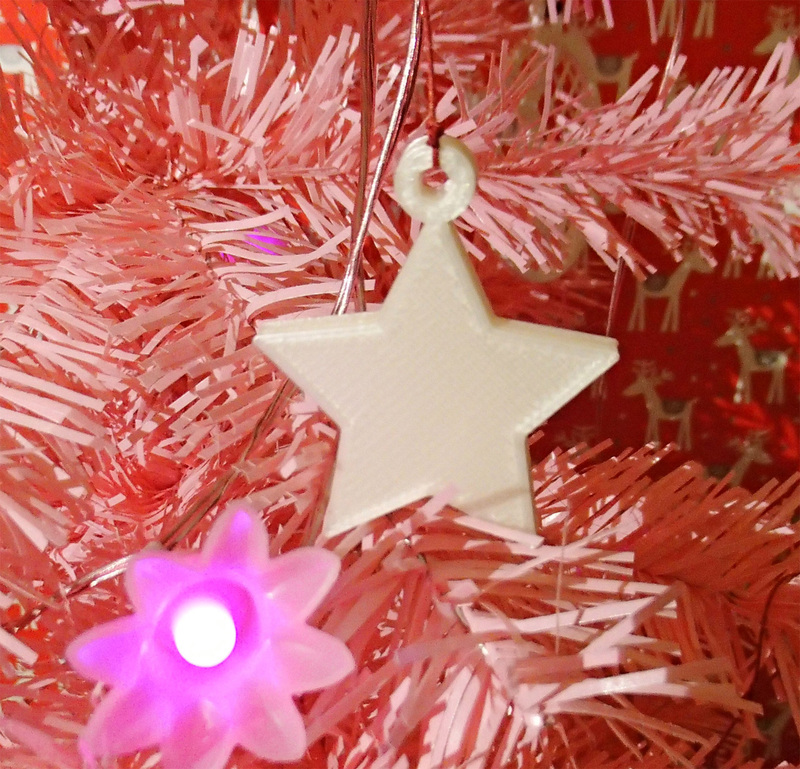 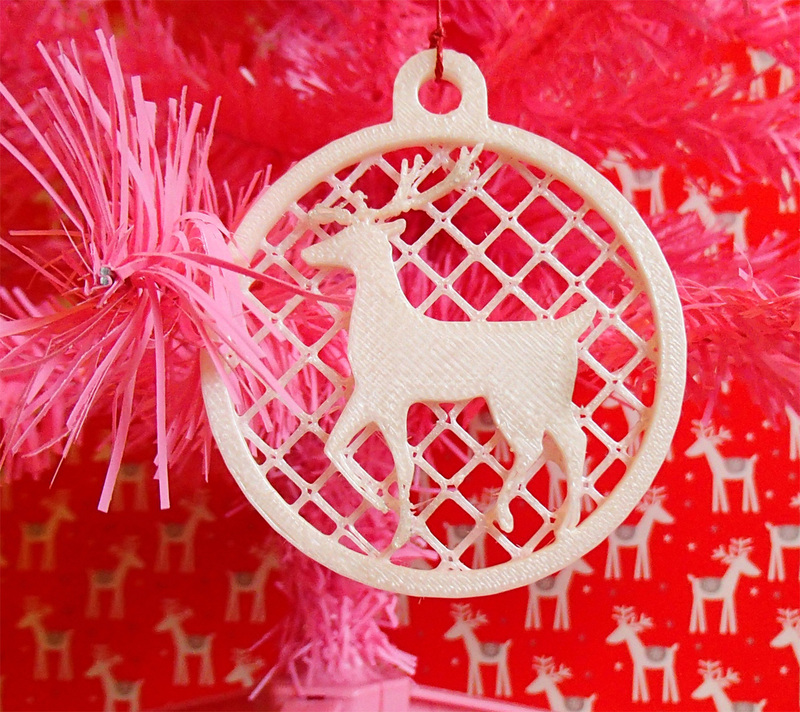 And yes, that is a very pink Christmas tree! Try to print the modern star if your printer's up to it! 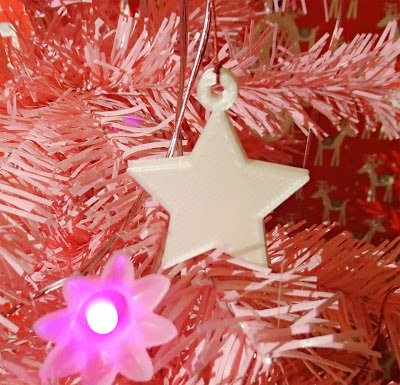 And if you fancy even more twinkle for your tree take a look at the new Sparkle range from Faberdashery. Space Marine and Mercury Red look amazing and if your giving a Raspberry Pi for Christmas get hold of some Raspberry Spark and print my version of the Super Pi case. 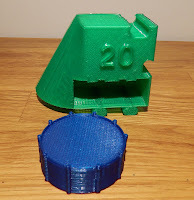 Also set the first layer width to be the same as the rest for a nice looking print. 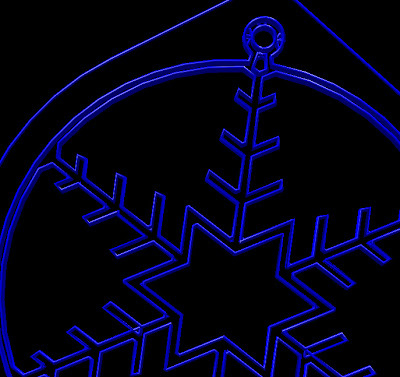 Snowflake by JonMonaghan - I have printed so many of these, they are great to print and look amazing especially in different colours. Snowman by ChristineBowyer - This little snowman is a real family favorite, we have printed a lot of these in many sizes, I even printed some in Sugar paste earlier this year. 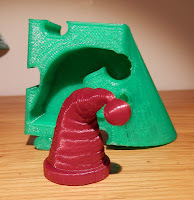 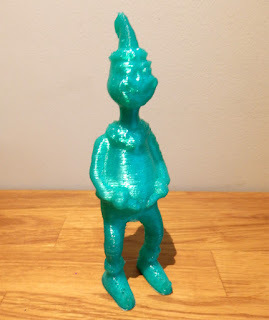 This one is a really interesting one to slice, you can go for a big nozzle width and get just shells for a very quick printing time, or a smaller fine nozzle and get a lot of tiny infilling slow print but a more filled look. 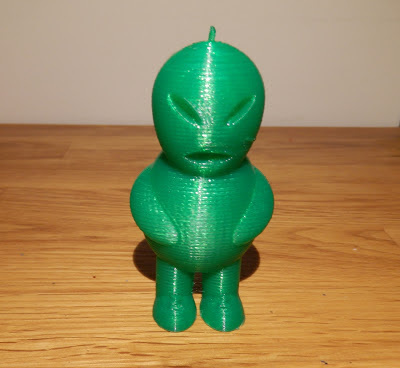 This was with Slic3r V0.9.1 - 0.42mm nozzle and 0.67mm single wall width, no infill - Slic3r makes a few little mistakes in the model but this GCODE prints well and quickly, the middle section is just loose enough to pop it out if you feel like it. This was with identical settings as above but with Slic3r V0.9.5 - This actually makes for a nice looking print but it has lots of tiny points of infill and a lot of extruder moves - it should also NOT be doing any infill, all filling and solid layers were turned off. 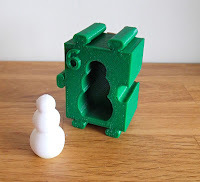 This version is back to Slic3r 0.9.1 but with 0.42mm nozzle and 0.47mm single wall width, 20% infill, you really do end up with a dual ring around the snowflake, a nice print and quite quick. To test the infill problem of Slicer V0.9.5 I used 0.42mm nozzle and 0.47mm single wall width (as above) but had 0% infill and 0 top and bottom layers, this should give a hollow object, as you can see above it made a nice and filled star. 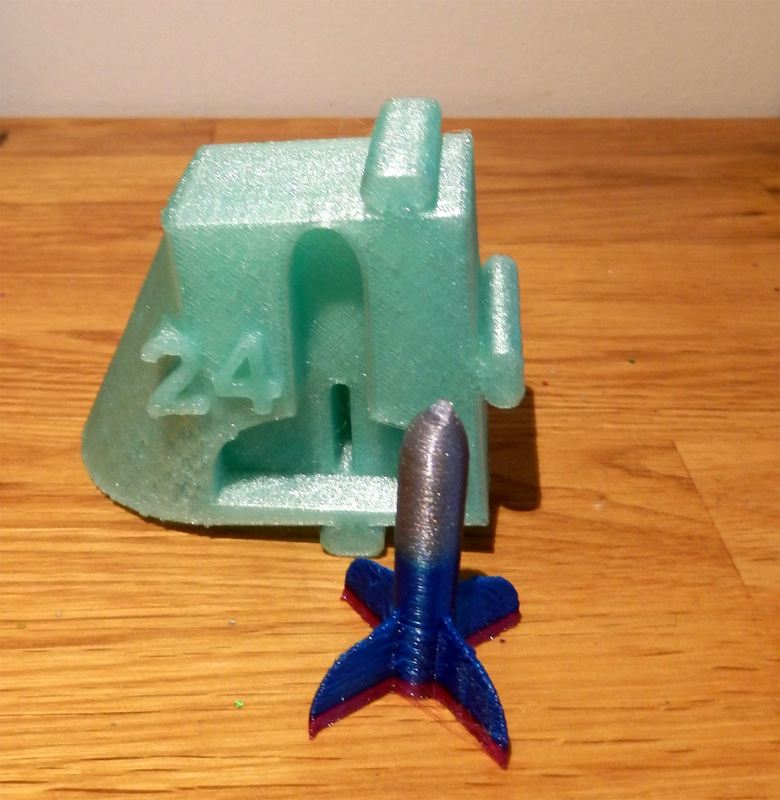 This GCODE, 2.5MB and has some nasty high speed infills causing resonance in my printer and a massive number of extruder reversals, not one to print! 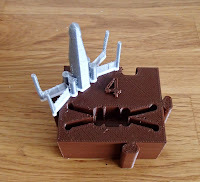 A great little robot with support already designed into the model. 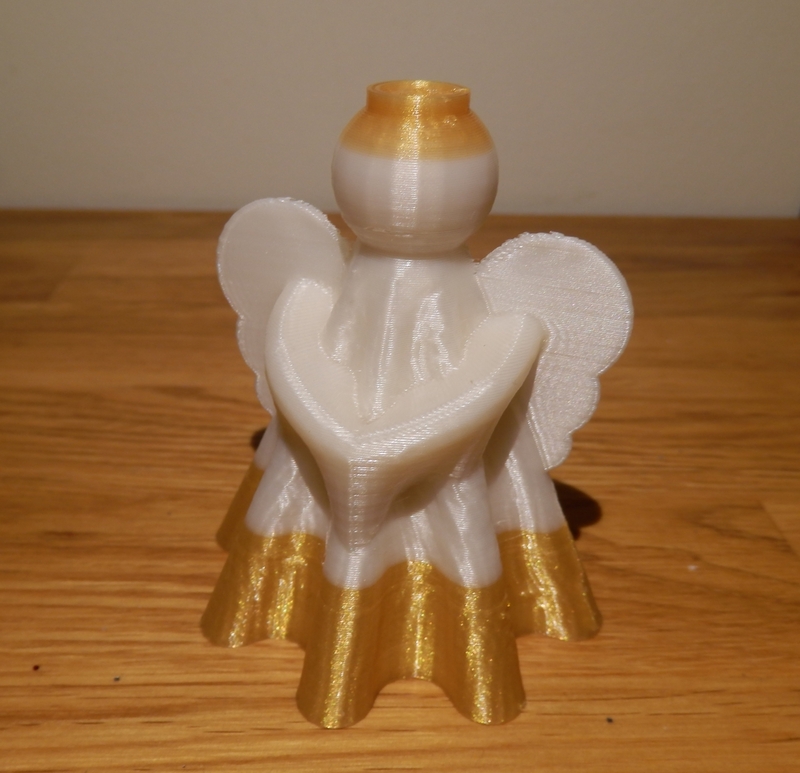 Angel by tc_fea - Printed in Angelic pearl white and shimmering gold. 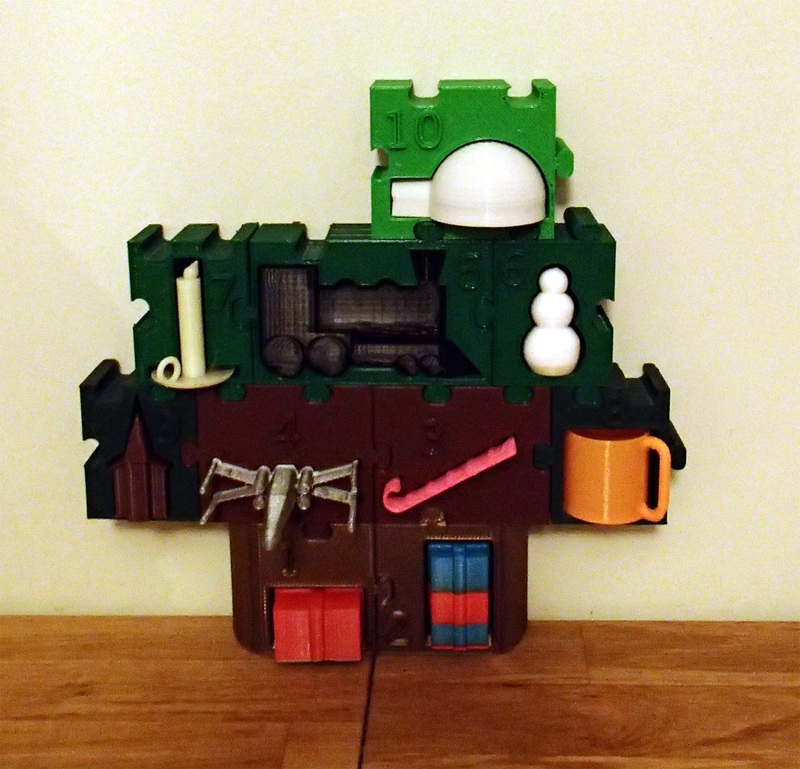 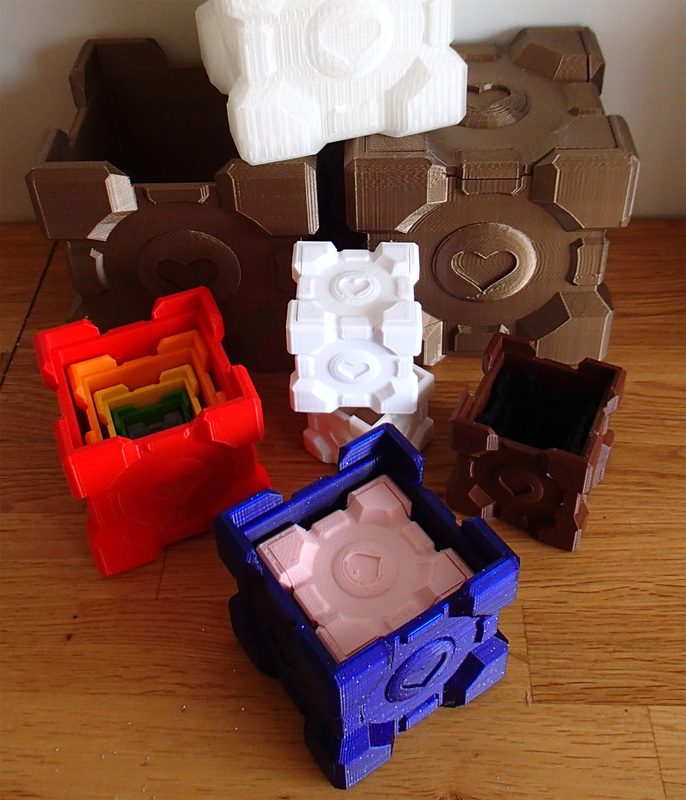 Another popular present to print is the Extra Printable Companion cube by Keegi, this box is just perfect as a gift and can be scaled to any size easily. 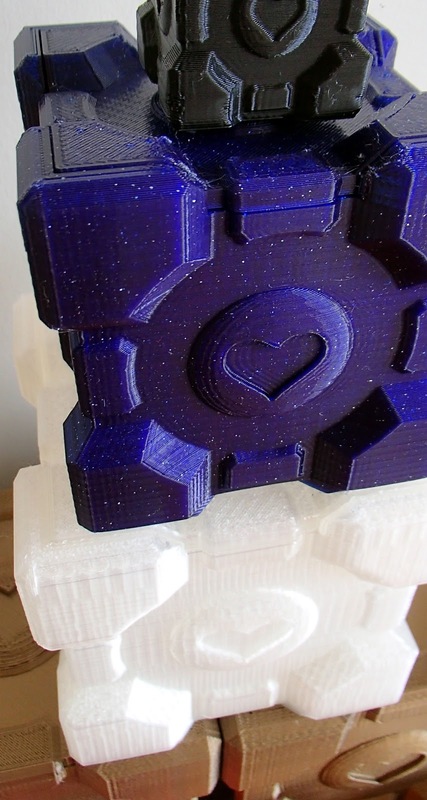 The Original Companion cube upgrade was made by Landru, well worth a look if you don't want a box. 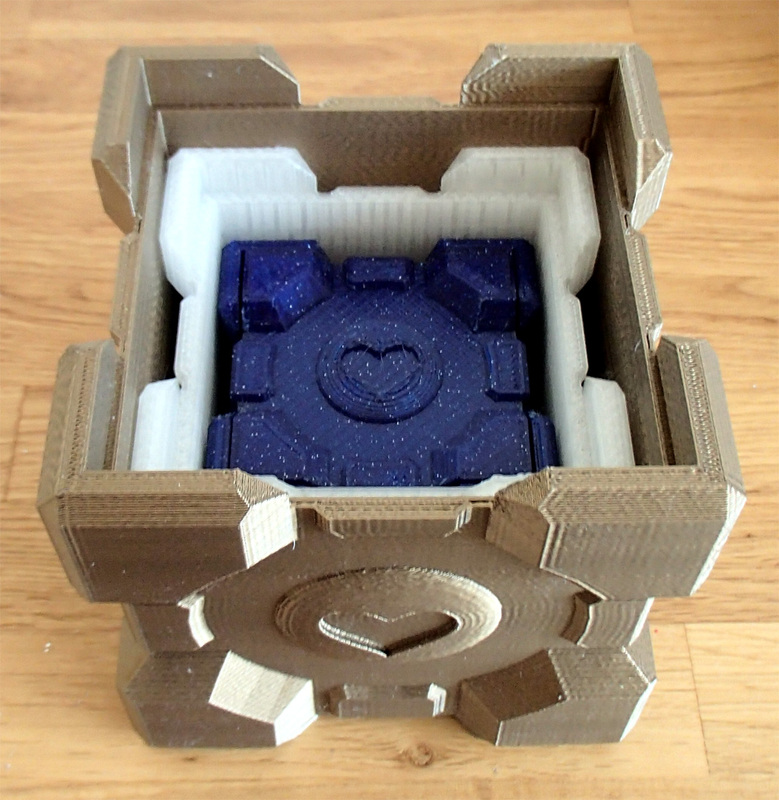 It also makes for an impressive Russian doll style stacking box set if you scale them to fit into each other. 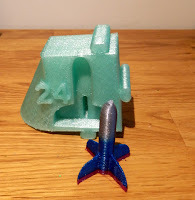 Over the last few months I have printed more than I can count of these, the smallest being about 7mm and the biggest so far printed on a Rostock printer at about 186mm wide. 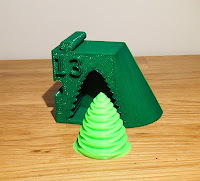 Meeting in December (13th) for drinks and planning events and hacking for next year, see here and come along if you can. 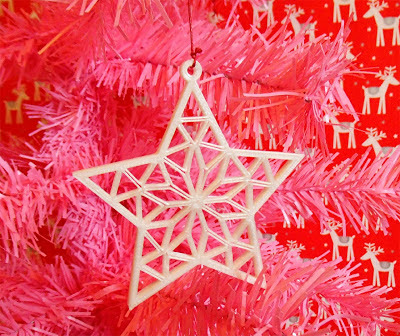 Merry Christmas Everyone, and have a very Happy New Year!